20 oz. 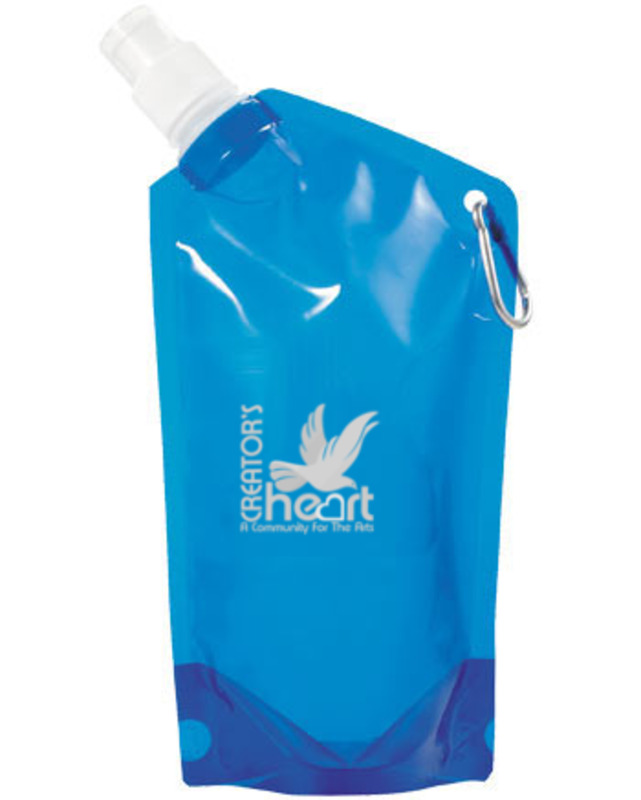 Laminated drink bag with 5 mm aluminum carabiner. Includes twist-on, push/pull drink spout with removable cap. Item Size: 10" H x 5-1/2" W x 20 oz.